EPS Epoxy Sandwich construction = Full carbon, PVC standing area for added deck reinforcing, Hi performance model. 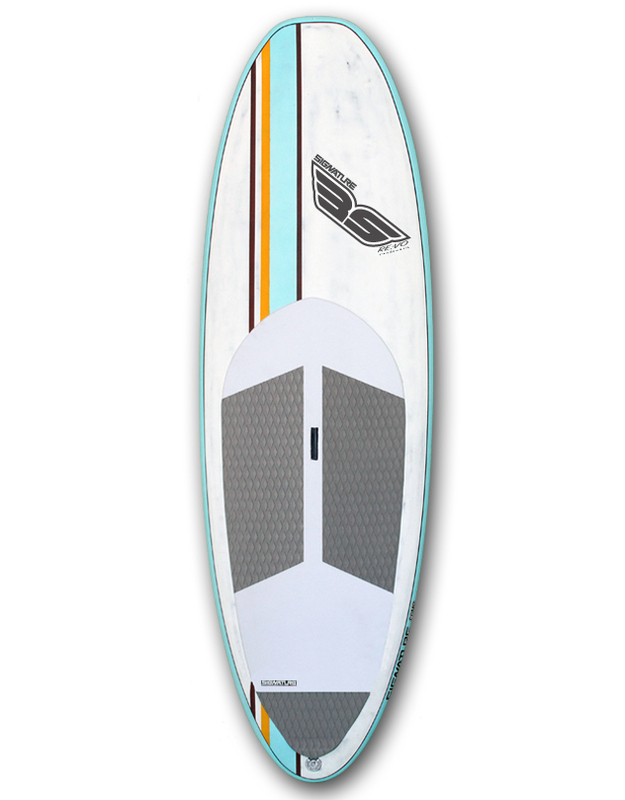 Can be ridden as a thruster 3 fin set up or Quad 4 fin depending on conditions. The RE:VO has a fuller nose area which adds stability but at the same time designed and tested to not “catch” on turns. 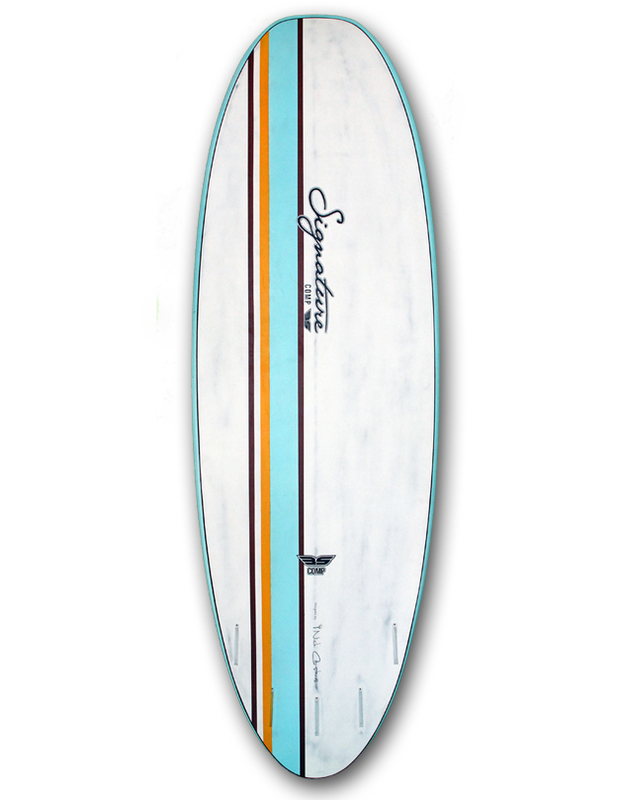 Single concave into a deep double for quick acceleration, concave flows to the tail to allow clean water flow off the back and round pintail for added speed / sharp turning aspects. RE:VO REVOLUTION. Are you ready for the ride of a lifetime, experience a board designed by riders for riders.